A. 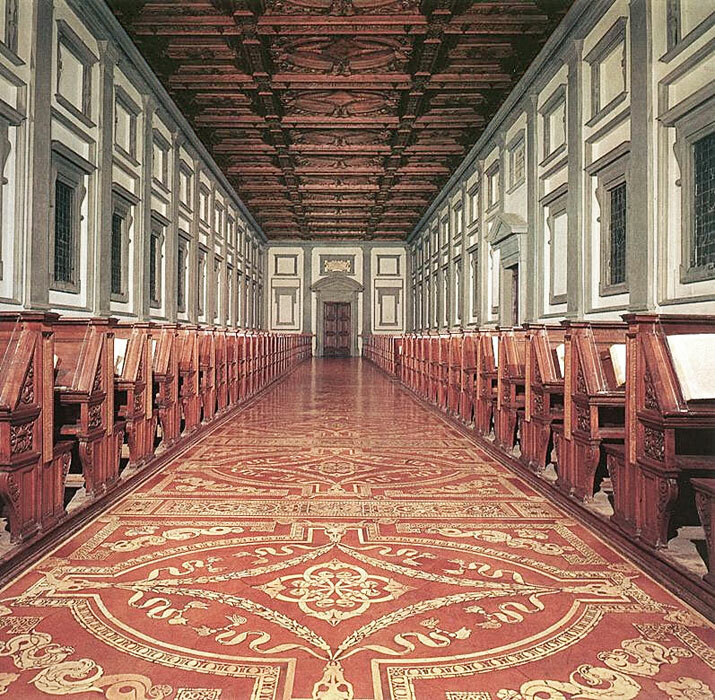 We are grotesques, inlaid into the terra cotta floor of the Reading Room in the Laurentian Library, in Florence, Italy. The Library’s Entry Vestibule and Reading Room were designed by Michelangelo. They are notable because of the radical ways in which architectural elements are used without strict adherence to their traditional/ expected/functional roles. The tall vestibule, an interior room, is made to feel like an outdoor courtyard, literally outside-in. 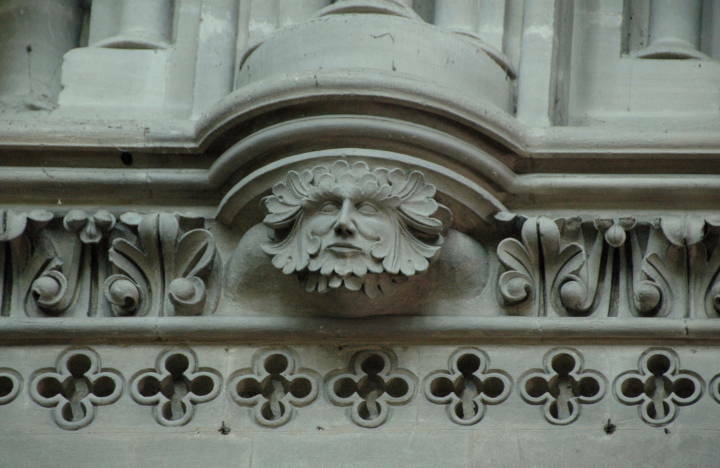 There are large corbels (brackets) that don’t physically hold anything up, and window-frames surrounding planes of opaque stone rather than glass. The inclusion of this assortment of cartoon-like heads in this stately space may have been done in order to include the wild, sensuous, and willful side of human nature along with the sublime, intellectual and religious side. 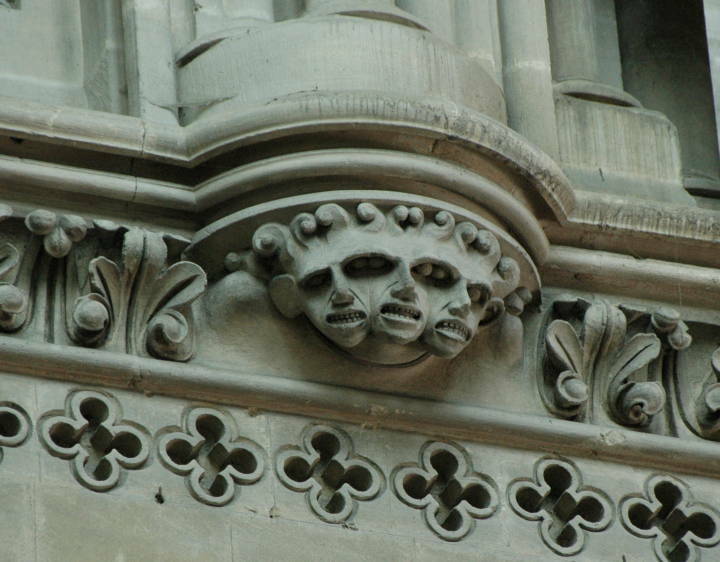 Grotesques are found in architecture throughout the world. 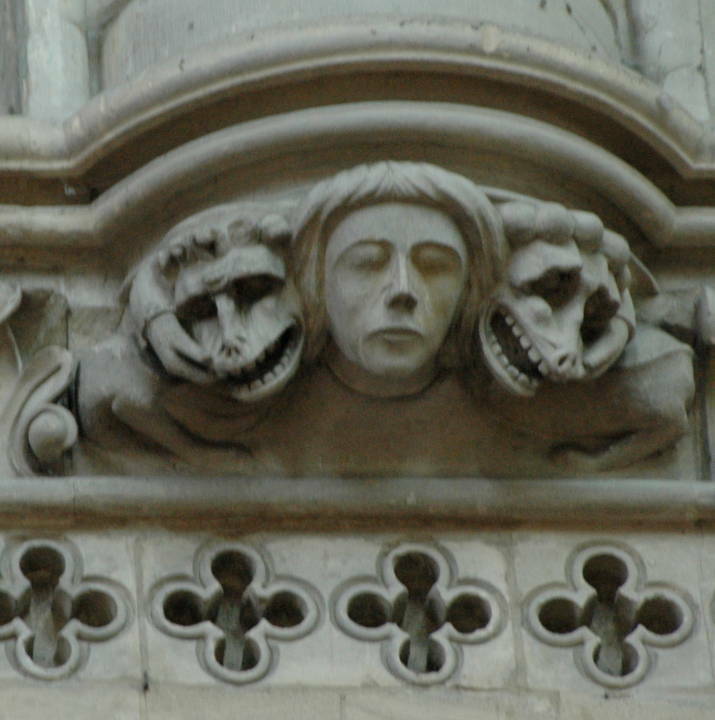 The following Gothic examples are from the Bayeux Cathedral, in Bayeux France. This entry was posted in Detail, Meaning, Things I Like and tagged Bayeux Cathedral, grotesques, Laurentian Library, Leonard Barkan, Mannerism, Michelangelo, Niccolò Tribolo by Kraft. Bookmark the permalink.